If you arrive to Milan by airplane, you are going to land at one of the following airports: Malpensa International Airport, Linate Airport and Bergamo Orio Al Serio Airport. There are several services (public and private) that connect the Milan city center with the Milan Airports. Please find as follow all information about the airport transfer services. 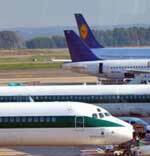 Are you flying to/from Milan Bergamo Airport (Orio Al Serio)? 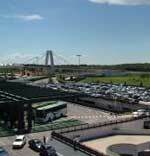 The Terravision Low Cost Express Coach connect Milan Bergamo airport with the Milan Centrale Station. Thanks to the partnership with Terravision, now you can book directly with us your express low-cost airport transfer to/from Milan Bergamo airport direct to/from Milan Centrale Station. Journey Time: 60 mins (estimated times). Departs from: Milan Bergamo airport and Milan Centrale Station. If you need a ticket, it can be purchased online. If you already have a ticket, present it to the coach driver. Your luggage will be loaded onto the coach. Climb aboard and select your seat. The coach will leave on time. Go to the Terravision desk in the arrivals hall of the airport. Our reps will tell you where your coach is waiting for you. If you need a ticket purchase it from the Terravision desk in the airport arrivals hall. If you already have a ticket, present it to the Terravision rep (or the driver if there is no rep). Your luggage will be loaded onto the coach. Climb aboard and select your seat. The coach will leave once all passengers have arrived. Who wants to arrive in a foreign country after a long flight and battle the local public transport system? Take the hassle out of arriving into Milan by prebooking your Milan Airport Private Arrival Transfer before you leave. Be delivered directly to the door of your hotel for the most relaxing start to your holiday. You have seen the sites, indulged in lovely Italian food, and shopped to your hearts content. Regrettably it is time to leave the cosmopolitan city of Milan, why make the day harder than it has to be. Prebook your Milan Airport Private Departure Transfer to ensure a smooth departure from your hotel for your flight home.